Following Cheap Thrills (1992) and the legandary recording at the Montreux Jazz Festival in 1995, the timing was perfect to release a historical document of one of the Germanys best live bands. The great open-air concert at the 15th anniversary on 24 May 2002 in its birthplace Wiesloch offered a wonderful opportunity for a live-cut of the bands best sounds. 17 Songs were chosen from the three hour concert. 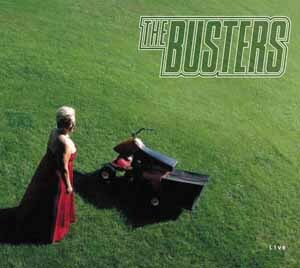 The Busters classics like Ruder Than Rude or Summertime are of course included, but the hits are the previously unreleased live takes of songs since 1995. Songs like Wendy or Come On take a new sound thanks to guest appearances. You will be surprised! The statemend against racism "Wir lassen es nicht zu" with a complete childrens choir on stage was a real highlight of the concert. It was a tough act to follow even for Chefarzt Farin Urlaub, who jumped on the stage to sing along to the tune of "Liebe macht blind". The Busters Pension Fund, former members of The Busters, added to a great perfomance on this CD in.